Boston, MA -- In 1965, a young Peter Rowan joined Bill Monroe & The Blue Grass Boys, recording fourteen songs with Monroe before leaving the band in 1967. Tony Rice is the premier blue grass/newgrass guitar player today. His stellar career has included stints with J.D. Crowe & The New South, and the David Grisman Quintet. He has had a successful solo career and also fronts his own quintet, The Tony Rice Unit. Together, they have toured as the Peter Rowan & Tony Rice Quartet, which ultimately produced two Rounder Records recordings. This package, Rowan & Rice performing the traditional sounds of Bill Monroe with The Travelin' McCourys, is of historic proportion. 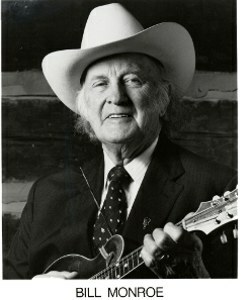 The show is a retrospective of the major historical periods in Bill Monroe's musical life, starting with Peter Rowan and Ronnie McCoury on guitar and mandolin doing the old Charlie and Bill Monroe brother duets. After a few songs, the rest of the band joins in to render the later works including duets, trios and some of the old four part gospel material. Peter Rowan & Ronnie McCoury are set to perform "The Music of Bill Monroe" at the Wilbur Theatre on Saturday, April 21, 2012 at 7:00pm. The Wilbur Theatre is located at 246 Tremont St. in Boston's Historic Theatre District.